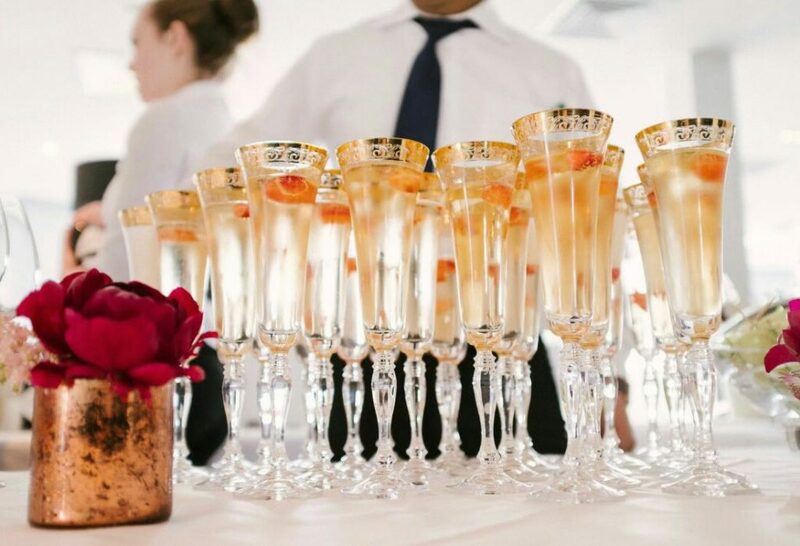 Looking for the perfect place to celebrate your wedding? 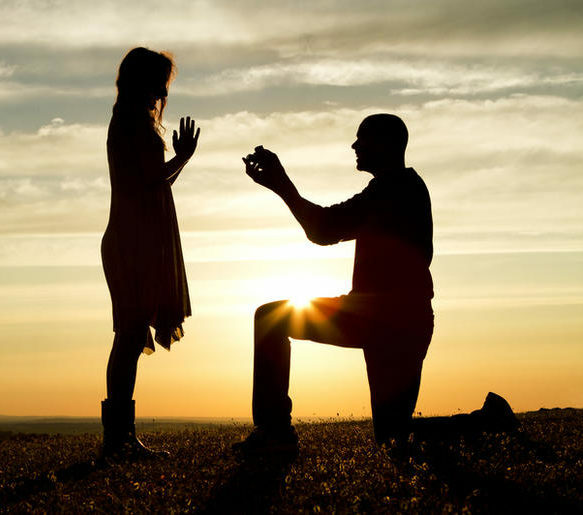 Book an appointment with our Wedding Team – Brian Keary & Pauline Moroney today! 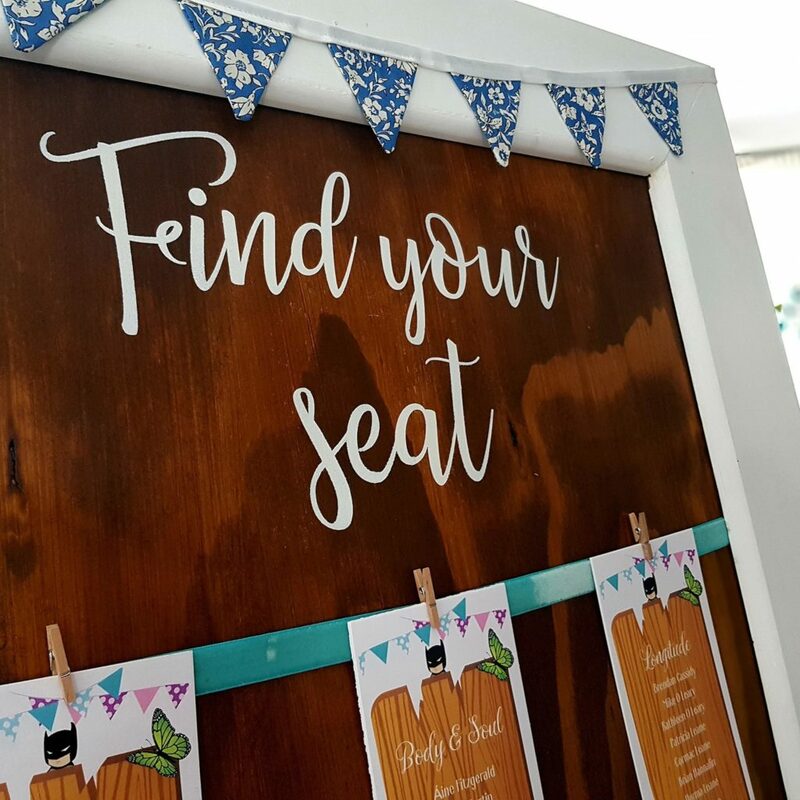 We would love to meet you & help you celebrate Your Day Your Way! 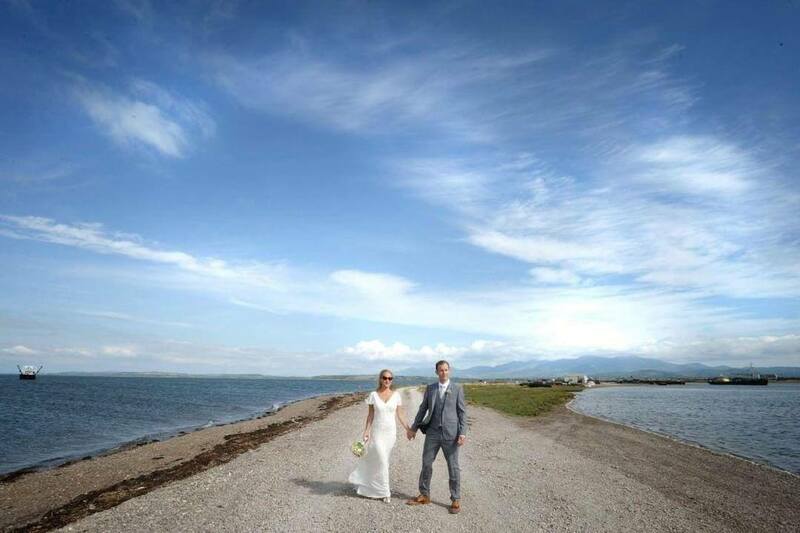 we had the absolute pleasure of having one of our own Cromane locals Francis marry the stunning Ann Marie. "Seeing as this is our favourite restaurant, we decided to book it for our wedding. 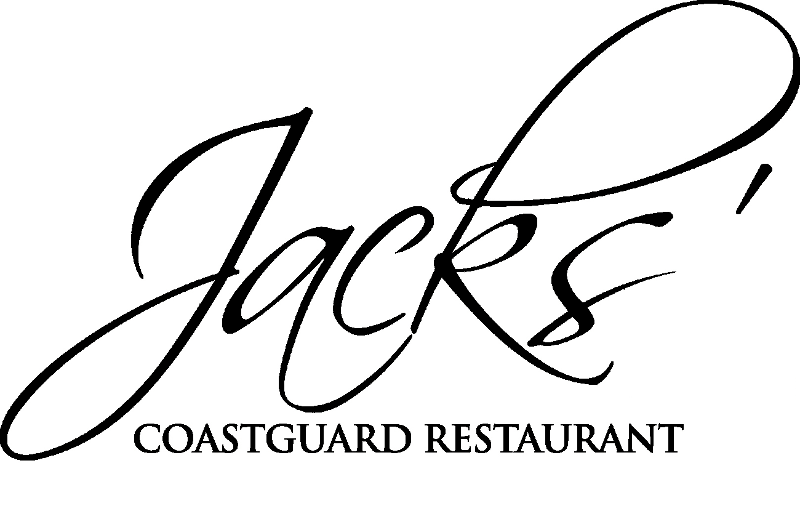 We wanted to guarantee a great meal for our guests so Jack’s was the obvious choice for us. Its superb location and magnificent scenery were a very welcome bonus for us and our guests also. 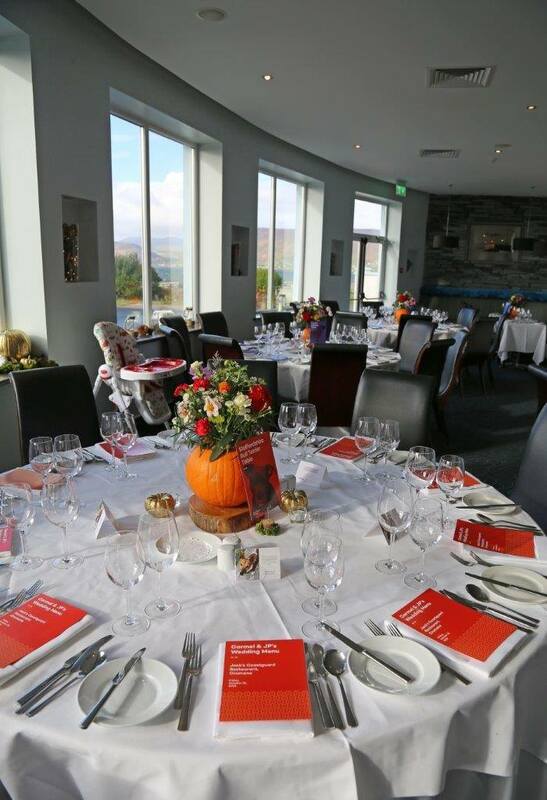 We were so blessed with the weather on the day that we had our drinks reception outside, looking out over the ocean and mountains. This was suggested by Brian. In dealing with Brian, all we can say is he is the wedding planner extraordinaire! He was always so helpful with suggestions, hugely attentive to detail and generous in many ways with his time and service. 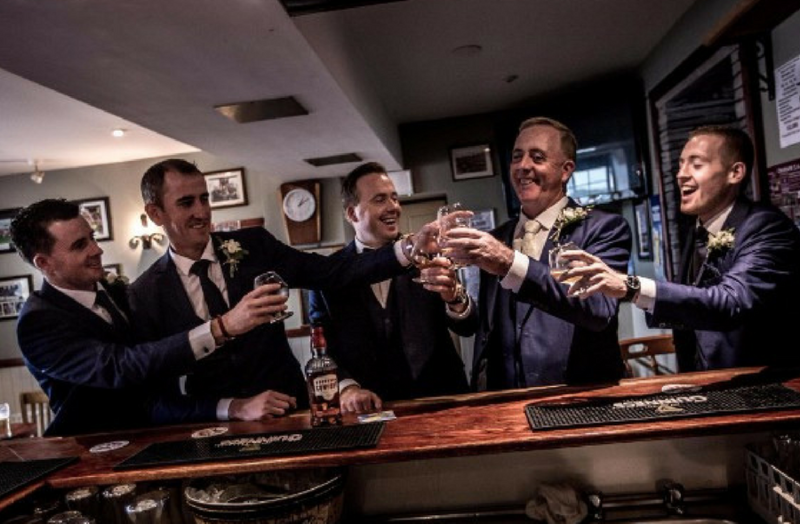 He always went the extra mile, for example by ordering in petals matching the bridesmaid’s dresses for the tables and has always treated us in such a way that we felt that we were the only couple ever to have our reception in Jack’s! On the day, the food was nothing short of spectacular, the service impeccable as always and it was the perfect venue for our after party. 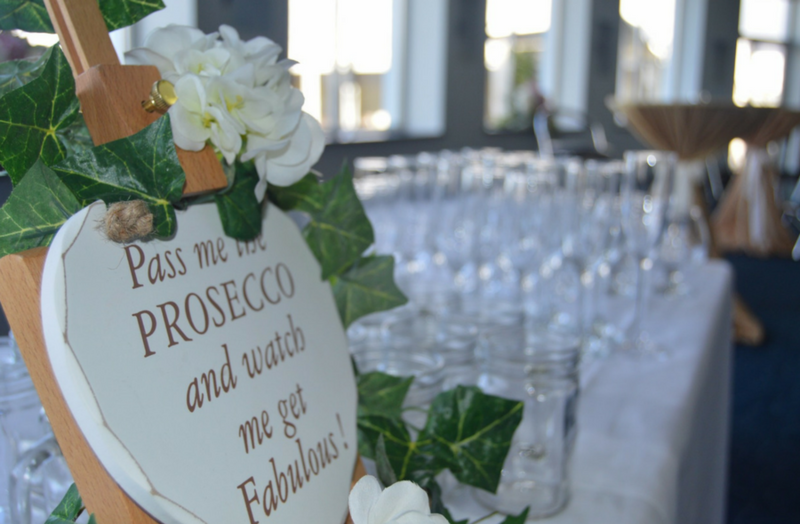 Our guests haven’t stopped raving about so many aspects of the day, from JP’s piano music throughout the meal, to the service they received from Brian and his staff and the fabulous location of this venue. We always said that we wanted a wedding with a difference and we certainly got over and above all of our expectations with Jack’s. 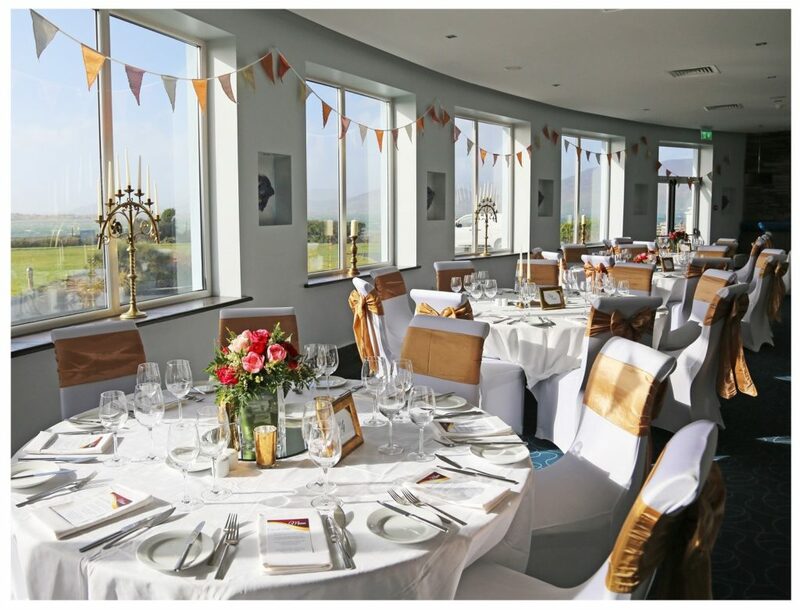 I would recommend any future bride and groom to visit this location as a definite contender for their reception." 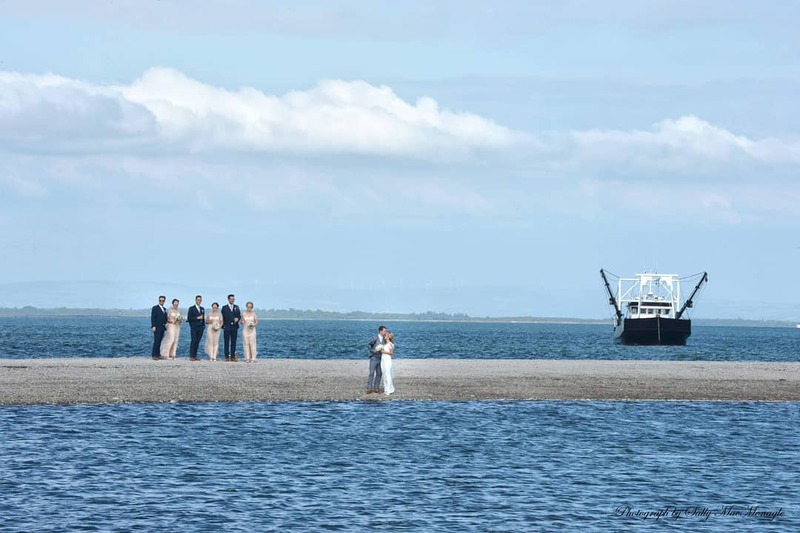 ''We recently had our wedding at Jack's Coastguard Restaurant, Cromane. 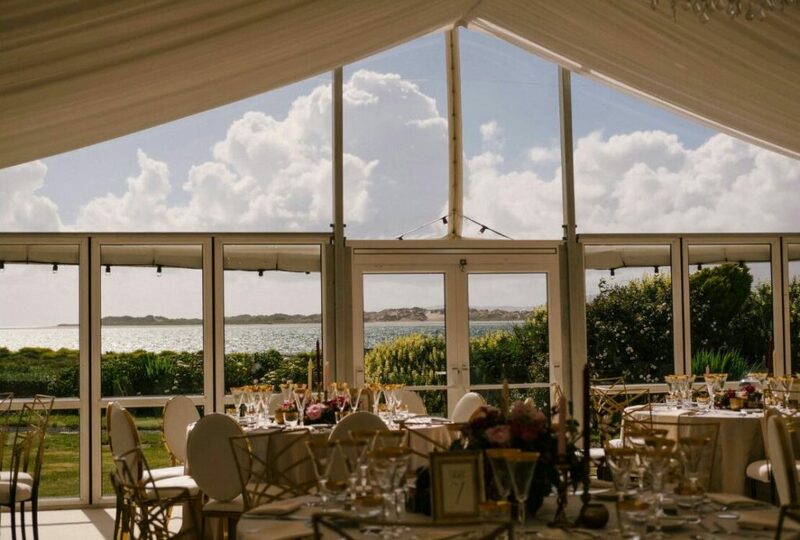 An absolutely stunning location overlooking the beach, Jacks is perfect on every level. The food is amazing, due to their wonderful Chef Jonathan. 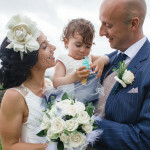 I was dealing with both Brian and Pauline (Jack's wedding coordinator) and both were brilliant, so helpful and professional with all their time and advice no matter how busy they were at the time I called, they would still sit down with you, offer you a coffee as if they had all the time in the world! The staff there are all just lovely and the service on the day couldn't be faulted. Their wonderful friendly pianist John P entertained us while we were milling about before dinner and also during dinner. Pauline went above and beyond helping/advising me even down to facilitating me one day when I called to Jacks with my fantastic florist Ann from All About Flowers, Killorglin to see where we could put the church flowers afterwards/dealing with the table arrangements etc. In short, when dealing with Brian and Pauline, nothing was too much trouble. "After visiting a selection of chosen four and five star hotels in Kerry we quickly got a taste of set packages where there was little or no room for tailoring. When we proposed our ideas of how our dream day would run to the Jacks team (primarily Brian, Pauline and Jonathon) any challenge set was seen more as an opportunity rather than an obstacle with immediate suggestions and input on how our ideas would come across even better to our guests based on their vast experience. It was evident that Jacks were willing to go the extra mile right from our first meeting to the photos and many phone calls that I received from Pauline in the run up to the big day. We really felt like we had final say on any aspect of the wedding rather than following suit from the previous wedding held. On the day the hard work, efforts and fine tuning done by the Jacks team was evident .The quality of the food is outstanding. 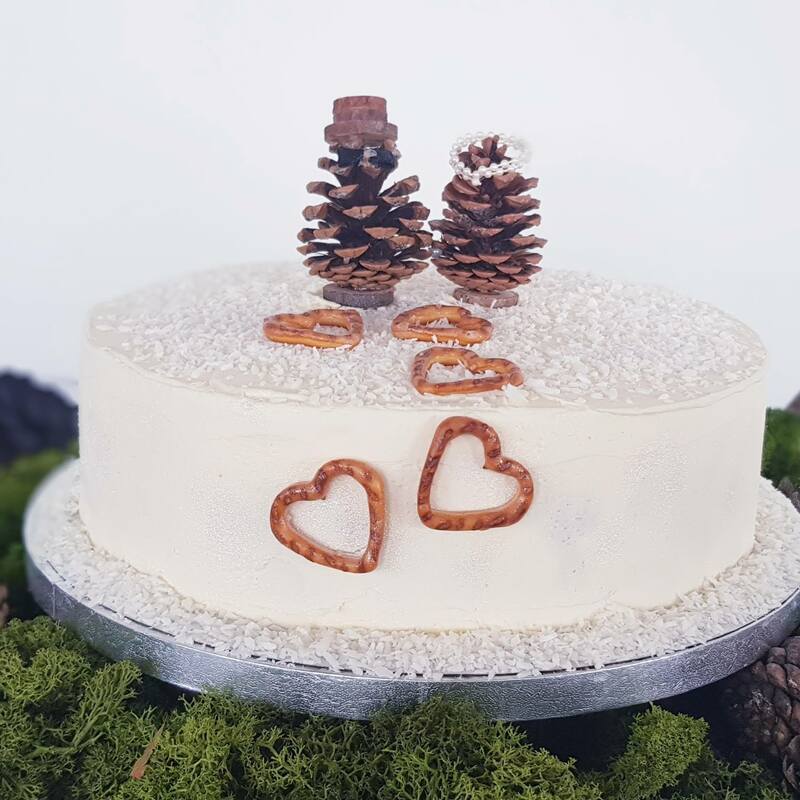 Although we had previously dined at Jacks, we were both cheekily smirking at each other during our wedding tasting knowing that we had chosen the best location for high quality food and even the most fine dined guest of our wedding would be well impressed. To this day our guests are still telling us that our wedding was the best wedding they were ever at. Cant get any better than that really. 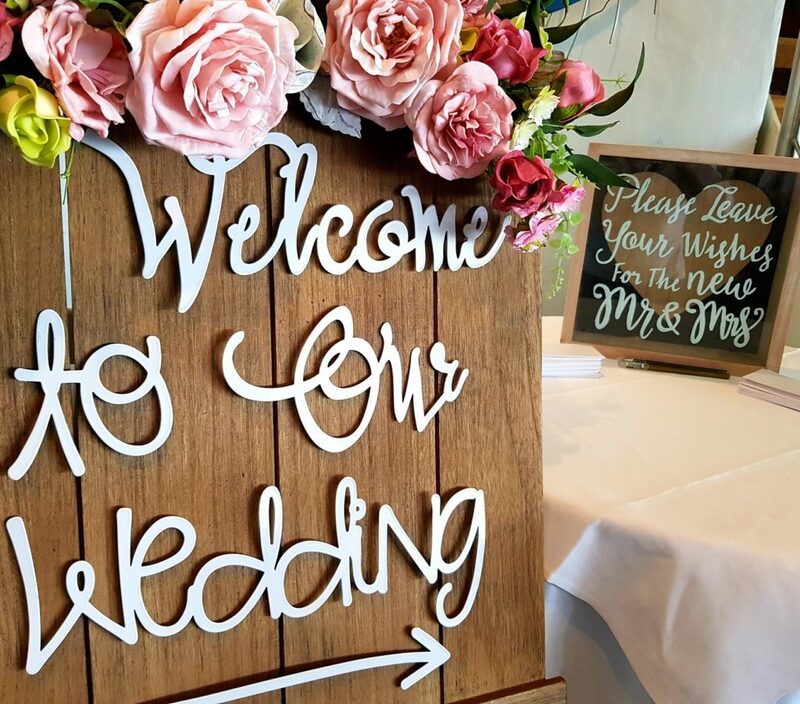 The support of a highly qualified and experienced team who are willing to pull out all the stops to make your day so special. Brian has a keen eye for professional class and smooth practicality when it comes to the logistics and planning of the day. 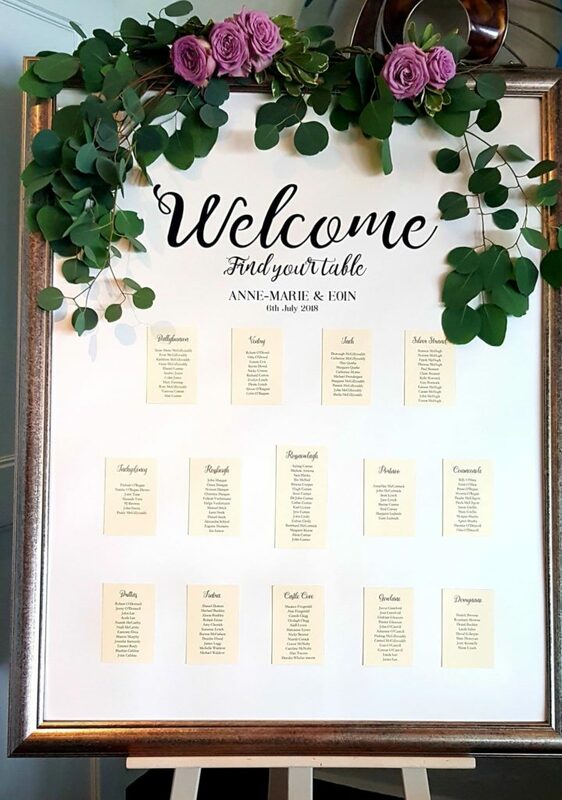 Pauline (our inherited personal wedding planner at no extra cost) is extremely talented at the flow and delivery of a theme that is symmetrical, colour coordinated and is simply a perfectionist. The team combined is simply flawless. Jacks team are so friendly and welcoming. Any visit to the restaurant in the run up to the wedding we got the feeling that the team were simply tuned in and interested in the running of the day with no requirement for notes or reminders. The team were also very helping with recommending and locating local products and services. The input from the Jacks team was priceless. They definitely put the cherry on the cake on some of our ideas and triggered all the right alarms in our early discussions to ensure the smooth running of the day." 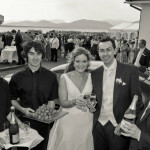 "We decided to have a marquee wedding at Jacks Coastguard Restaurant in Cromane. We already knew the food was outstanding. We both love the view from Jacks', it really is beautiful down there, and when we met with Pauline and Brian we immediately got so excited when we heard their mantra 'your day your way'. We came away feeling that we could have any kind of wedding we wanted. they were both so helpful and enthusiastic with all of our ideas. Our theme was relaxed vintage fun. We had a buffet with pig on a spit." 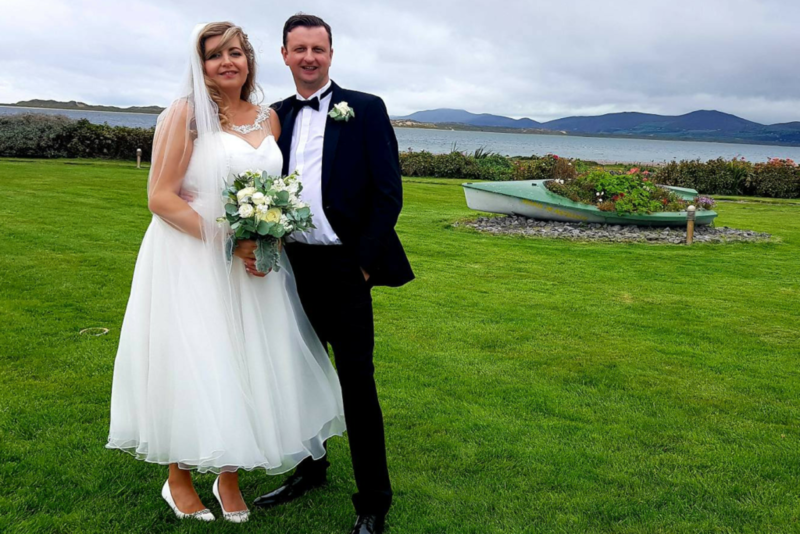 "When we first got engaged less than a year ago we knew nothing of Cromane let alone Jacks', now it feels like there was no other place it could've been. From day one we knew it was going to be the perfect place for our 'BBQ and beers' style wedding. It was impossible to foresee the gourmet food, truly exceptional team and atmosphere in Jacks'. It comes as no surprise in hindsight really, Brian is a superb person to deal with, experienced, no nonsense, open minded and has great vision. Backed by a super team (all of whom were brilliant) led by an energetic dynamo named Pauline. We couldn't have been more lucky or grateful for the weekend we had. Beyond our vision, expectations and left us wanting more. We're still reliving it all and looking forward to going back over and over again. Cromane = new home from home."